I've started and grown my own businesses and been on the boards of others. I also ran the Bristol Enterprise Network and spoke to hundreds of entrepreneurs and accountants. I learned that many people don’t fully understand their business finances, and so don’t always make the best business decisions. Meanwhile, accountants struggle to find time to analyse the management reports they produce, and present them effectively. Other reporting solutions can be complex and time-consuming to learn and use. 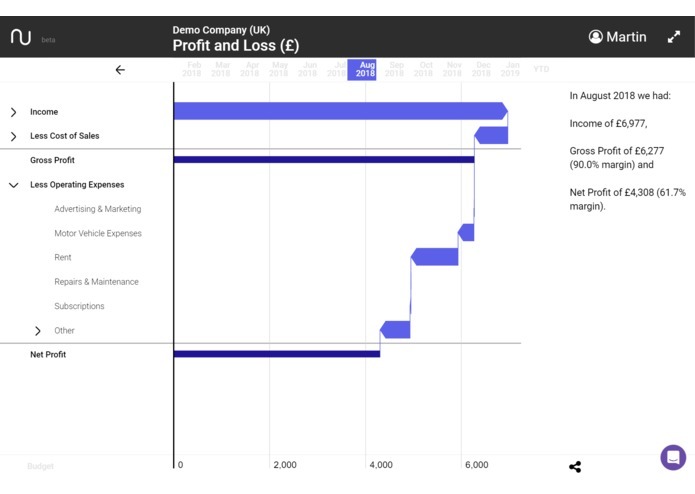 Many people want an easier way to explore and communicate their financial reports. I believe a completely new approach is needed. That's why we've developed Numerable. It's a Xero app that is powerful, yet fast and simple. 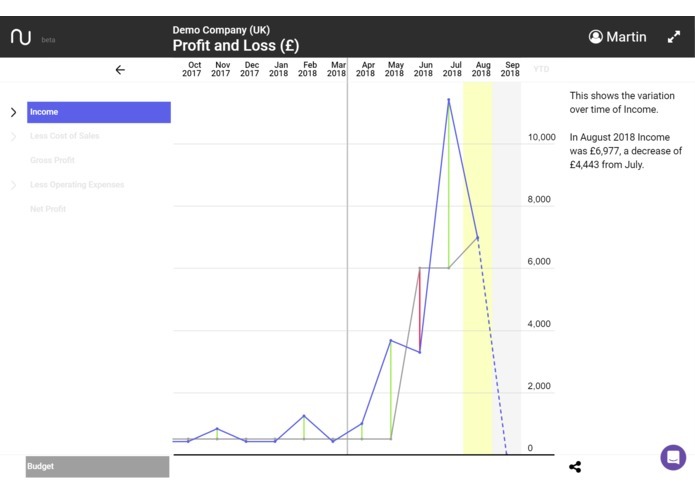 It gives an exciting, new way for people to engage with reports, that can quickly be used by both entrepreneurs and accountants. 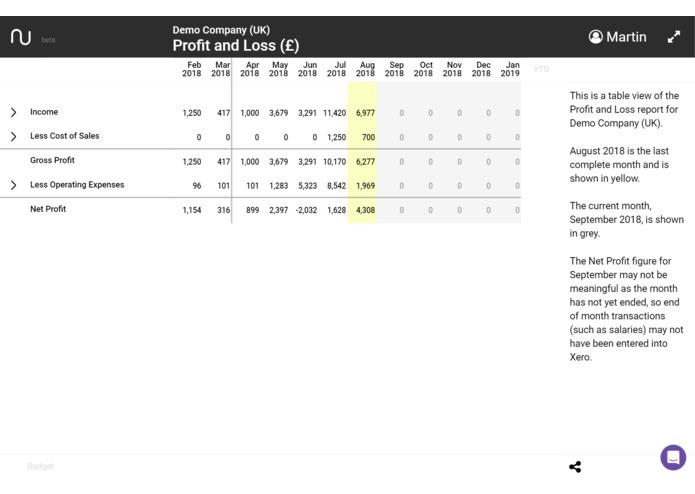 Numerable imports report and transaction data from Xero over its API, and instantly produces a set of (currently 6) reports. 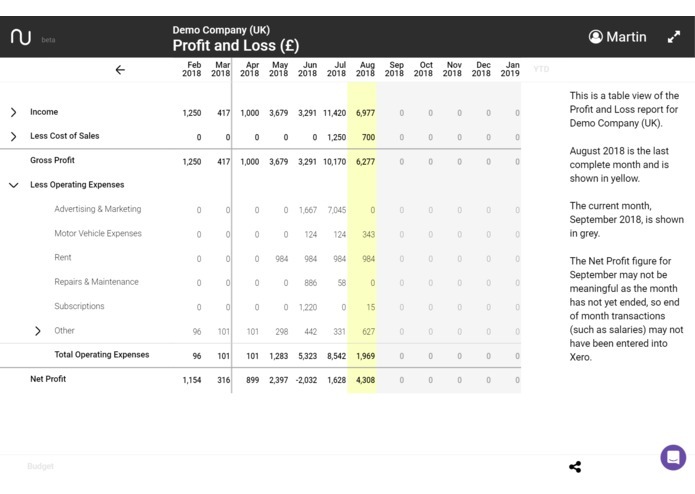 Arrays of numbers, that people find hard to understand, are automatically converted to interactive graphics and narrative, that are much easier to understand and engage with - hence the strapline 'financial reports for humans'. 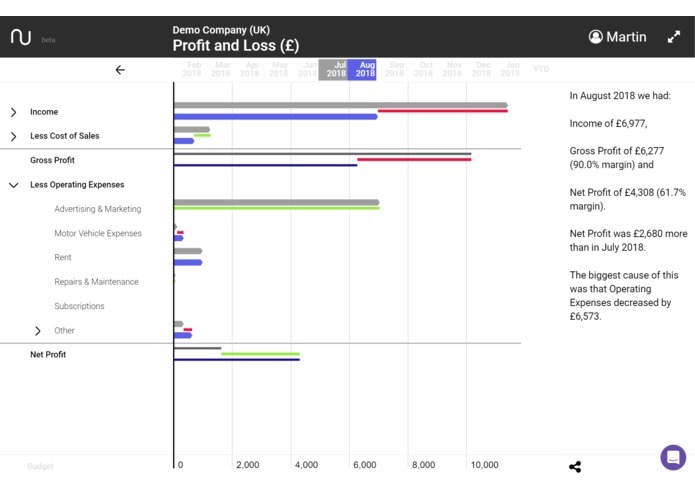 Each report is a single interactive plot that can be explored with just a few clicks - no configuration is needed. Neither of the 2 of us in the core team had previously developed web software, let alone a full SaaS system on AWS. So we had a lot of learning to do! We designed the main user interface concept in Photoshop and turned it into a prototype using InVision. With help from other local developers, we put built a skeleton system on AWS, selecting and testing technologies and components. We chose C#, .NET Core and MongoDB for the backend, and added React to JS and D3 for the frontend. Next we extended the skeleton system into an MVP that demonstrated the core functionality of the system. The MVP has evolved into the beta version that is currently available. We are now refining it prior to full release. Coming up with an innovative concept for 1-click charting, requiring no configuration, menus or additional UI elements (we've applied for a patent for this). 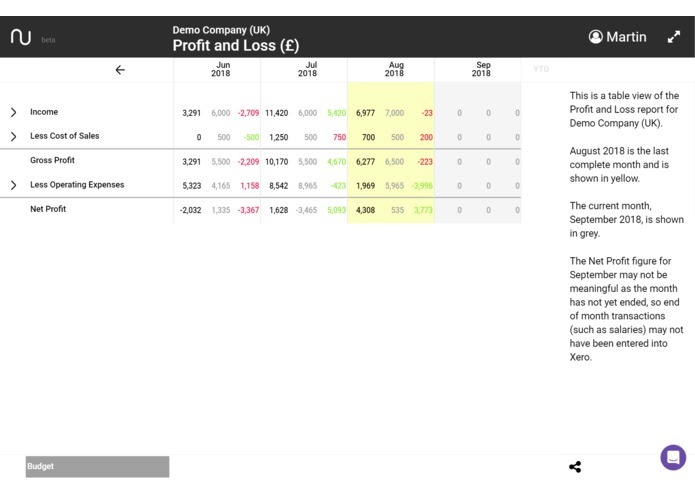 Applying our UI concept across a range of different financial reports, to give a consistent user experience. Deriving insights from report data and generating natural language phrases to communicate them to the user. Learning how to best use the Xero API to quickly access the data we needed. The complexities of building and maintaining a full-stack AWS solution, with many software layers and components. Overcoming the challenges we faced, to produce an innovative, exciting solution to a problem that has been around for a long time. 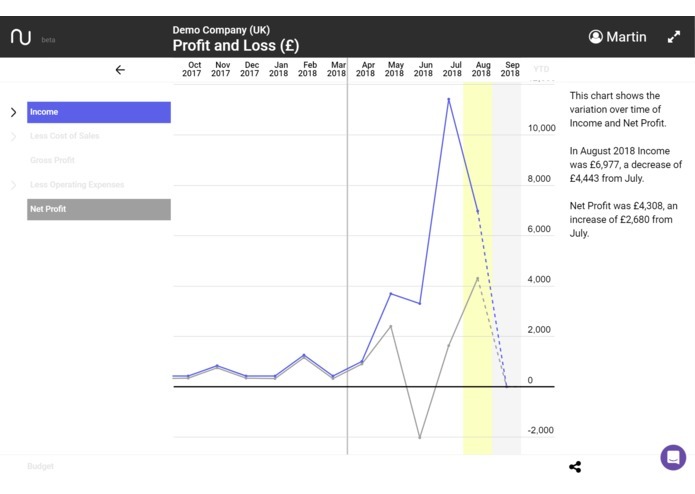 Developing software that is already getting good feedback, and has the potential to help many business people succeed by making better decisions based on their company finances.. Developing a full-stack SaaS system is tough for a small, inexperienced team! It's taken far longer than we expected. To achieve commercial success we will need to keep improving the way we communicate what we are doing. We want Numerable to be used by SMEs and their advisers around the world, to help those businesses succeed. We plan to grow our own business, Numerable Software, to support this and continue to improve the software. The Numerable app is already a Xero Partner App. We will soon complete the process to publish it on the Xero App Marketplace, initially as an extended free trial. We plan to launch a chargeable version by the end of 2018 - ideally at Xerocon London in November! 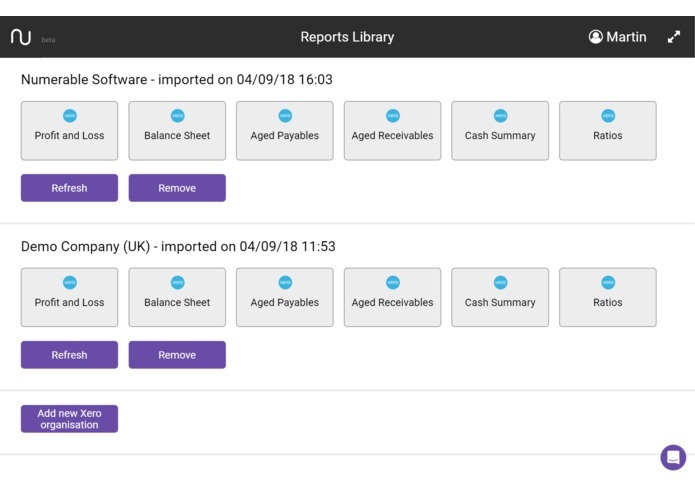 We will add new features to meet user needs - the ability for the user to add expert advice and to export reports as PDFs are currently being developed. We've plans for adding forecasting and collaboration features. While we've kept a fairly low profile until recently, we've now started some content marketing to raise awareness. 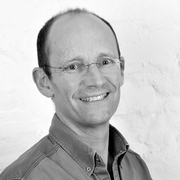 We've just been accepted for the NatWest FinTech Accelerator programme that starts in October. So we will be using this to get the advice, connections and publicity that will help make Numerable a global success. I came up with the original concept for this software, and have been heavily involved in the frontend design and coding. Hi. I'm the one responsible for coding most of the Xero integration and frontend graphics. Talk about being in at the deep end - the last 18 months have an exceptionally steep, but rewarding, learning curve!